A two-part documentary special focusing on the long-term toll the Illinois budget crisis has had on everyday people across the state. Illinois has not passed a budget in over a year, and this historic stalemate has proven to be the longest period that any state in the nation has operated without a budget since the Great Depression. 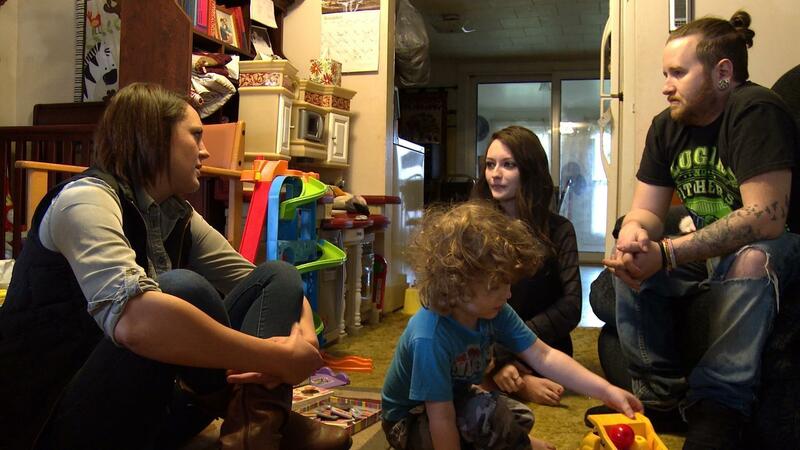 Directed, edited, and produced by Kartemquin Films associate Liz Kaar and presented by Illinois Public Media, Stranded by the State is a two-part documentary special focusing on the long-term toll the Illinois budget crisis has had on everyday people across the state. Using the cinéma vérité style favored by Kartemquin—the Chicago-based non-profit documentary production collaborative behind fifty years of classic documentaries, such as Hoop Dreams and The Interrupters—Stranded by the State offers intimate and empathetic insight into the many ways the budget crisis is affecting Illinois families. 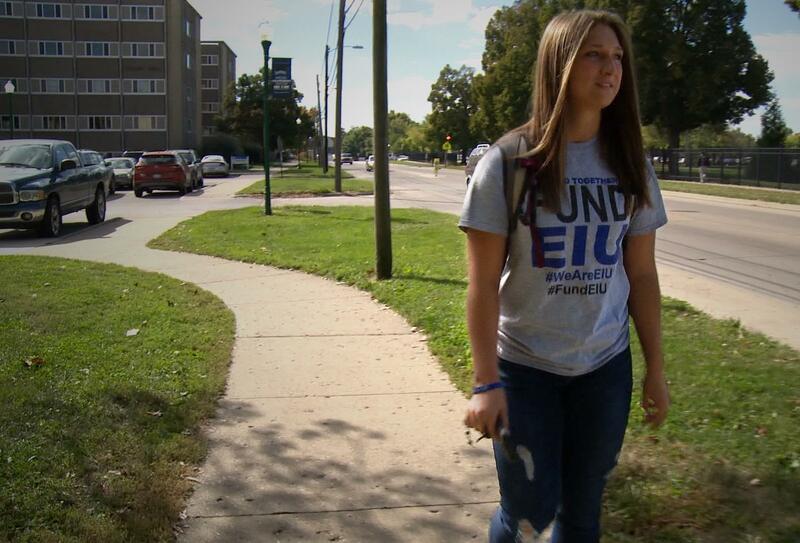 We meet Catie Witt, EIU student body president and #FundEIU organizer, as well as a first-generation college student anxious about the possibility of a tuition increase at EIU. For one particular Heyworth family, it means less support from a home visitation program for at-risk mothers to teach prenatal care and early childhood development. And for Charleston, it means mounting concerns about Eastern Illinois University, in particular tuition increases and a declining student population—which is of growing concern for local business, as well. Broadcasting in two 30-minute parts on public television stations around the state starting February 14—the day before Governor Bruce Rauner’s state budget address—the documentary focuses on six different aspects of the crisis in total: Higher education, at-risk youth, homelessness, seniors, adult literacy, and early childhood development. Stranded by the State explores how the situation in Illinois connects to long-term trends of austerity affecting the country at large and demonstrates how such measures can ultimately cost taxpayers more in the long run. Find out more about the series here and follow the hashtag #StrandedIL. The statewide broadcast schedule can be found below, and be sure to check back in March, when the two-part series will be posted online for viewing at your convenience. Contact your local public television station for further information about airdates and future broadcasts. This series was produced with funding from the Chicago Digital Media Production Fund, a project of The Voqal Fund administered by Chicago Filmmakers.